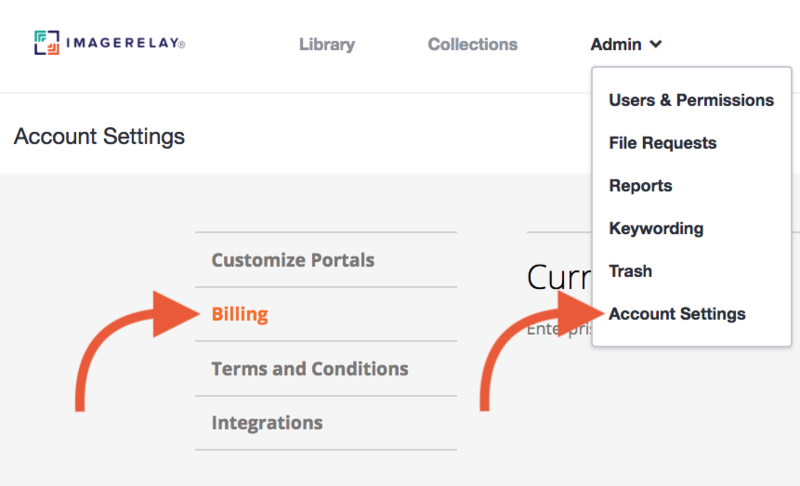 Note: You need to be the Master User to access the Billing section. Even if you were currently paying by invoice, you may switch to credit card payments at any time. For either of these options, please contact billing@imagerelay.com.